Fe3O4 nanoparticles immobilized on porous titania in micron-size range were decorated with small-sized gold nanoparticles and used as a plasmonic catalyst for the reduction of 4-nitrophenol. Monodisperse-porous magnetic titania microspheres were synthesized with bimodal pore-size distribution by the sol-gel templating method. Small-sized gold nanoparticles obtained by the Martin method were attached onto the aminated form of the magnetic titania microspheres. A significant enhancement in the catalytic activity was observed using the gold nanoparticle-decorated magnetic titania microspheres compared to gold nanoparticle-decorated magnetic silica microspheres because of the synergistic effect between small-sized gold nanoparticles and titania. The synergistic effect for gold nanoparticle-attached magnetic titania microspheres could be explained by surface plasmon resonance-induced transfer of hot electrons from gold nanoparticles to the conduction band of titania. Using the proposed catalyst, 4-nitrophenol could be converted to 4-aminophenol in an aqueous solution within 0.5 min. The 4-nitrophenol reduction rates were 2.5–79.3 times higher than those obtained with similar plasmonic catalysts. 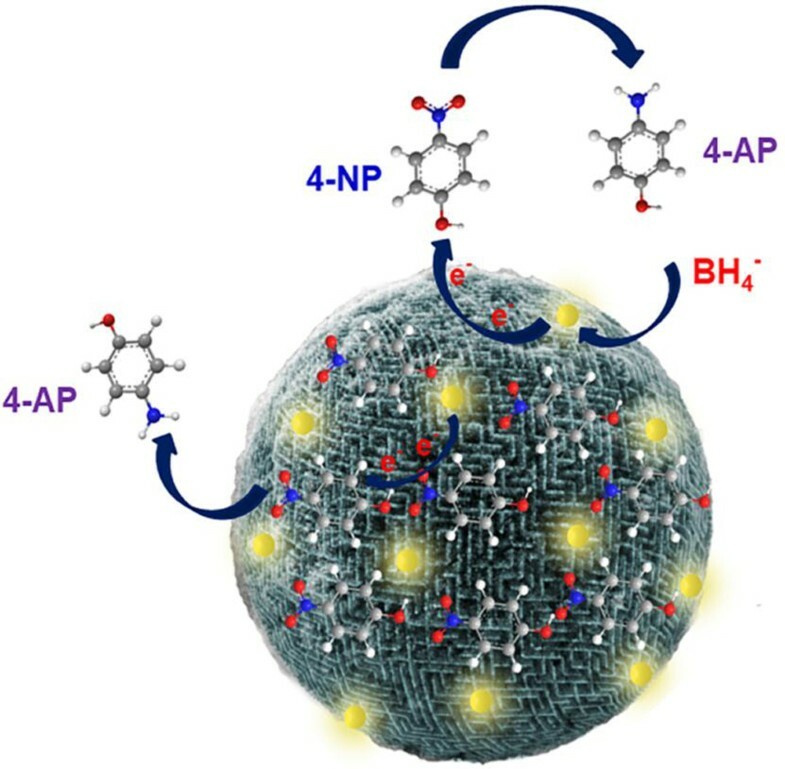 The selection of micron-size, magnetic, and porous titania microspheres as a support material for the immobilization of small-sized gold nanoparticles provided a recoverable plasmonic catalyst with high reduction ability. 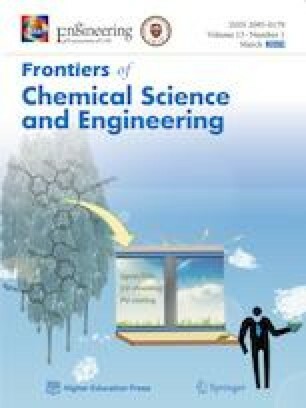 Supplementary material is available in the online version of this article at https://doi.org/10.1007/s11705-019-1799-y and is accessible for authorized users. Special thanks are extended to the Turkish Academy of Sciences (TUBA) for research support provided to Prof. Ali Tuncel as a full member.